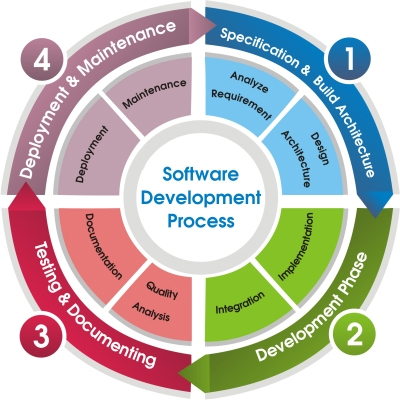 Under this methodology we assume full software development life cycle start to finish responsibility for business requirement analysis, specification, design, architecture, implementation, testing and integration of the system with other systems. Plan - Acquire Consulting Group provides the expertise and experience in domain, industry vertical, business process automation, process and change management and customized software development and architecture design to recommend technology solution that will meet the client?s business objectives and criteria for success. Build - Acquire Consulting Group provides custom software development, design, independent testing, implementation, integration services to deliver rapidly developed, scalable and flexible architecture that is aligned with the clients business objectives.People, process and technology issues are fully addressed to ensure a successful implementation of the custom software solution. Manage - Acquire Consulting Group develops all bespoke custom software applications with post implementation issues in mind.That includes but not limited to ensuring new architecture is based on strict quality standards to enable cost-effective operations and support as well as easy adaptations in the future. Acquire Consulting Group can provide the post-implementation management of custom applications to ensure today?s solution evolves with our clients emerging business needs.